Former French journalist. Claimed to have been abducted by aliens and shown that humans and all other life are the product of alien cloning. Claims his cult has successfully cloned humans, asked for scientific proof of claim and failed to provide it just like so many other saucer nuts out there screaming "WE CAN PROVE IT!". 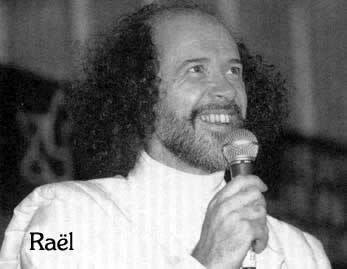 By the way, you can get Rael to come and lecture for you...for a mere $100,000. Save your cash and in the meantime see the official Rael website and a skeptic's website.